LEEU-102A: Global Perspectives Seminar (1 credit hour) – LEEU-102A is the required 6-week seminar that serves as the prerequisite and pre-departure orientation for the actual cross-cultural experience. This course is taken during the second semester of freshman year or during the first year of attendance as a transfer student. GNST-250, 251, 252, or 253: Cross-Cultural Experience (1-3 credit hours) – This GNST course is the actual experience of interacting with another culture, either through one of the Lee Global Perspectives Trips or through an Individually Arranged Study cross-cultural experience. This is not a class which meets throughout the semester or summer term but is the credit you receive for the actual cross-cultural experience, where you can earn 1-3 credit hours depending on the length and intensity of cultural interaction. Students who have had significant cross-cultural life experiences prior to coming to Lee may qualify for an Exemption to have the cross-cultural requirement waived. There are clear institutional guidelines in place for students who may be waived from the cross-cultural requirement. These guidelines have been approved by external accreditation agencies. Granting students academic course credit for experiences that do not fall within the stated parameters would be both illegal and unethical. It is important to understand what qualifies as a cross-cultural experience. For your cross-cultural experience, we want you to go beyond a tourist-type experience. We want you to actively ask questions about family, politics, language, economics, religion, and daily life in another culture. We want you to learn how other people think about the world and how they think about you. We want you to listen to what they say, without injecting criticism. We want you to talk to people in this other culture, do things with them, and reflect on what you learn in order to decipher what it means and compare it with your own culture. For more extensive information defining the cross-cultural experience, please check out What Is a Cross-Cultural Experience, an excerpt from the LEEU 102A Global Perspectives Seminar textbook, Go Global: An Anthropological Approach to Studying Abroad (Go Global 33). Choosing a cross-cultural experience is about finding the right destination and program for you. Input from parents, friends, and professors may be helpful, but ultimately the best cross-cultural experience is the one that meets your needs and goals. Understanding what you want to get out of your cross-cultural experience takes time, research and reflection. For more information to assist in your decision, check out Cross-Cultural Experience Considerations. PLAN AHEAD! We encourage you to start planning as early as possible in order to determine the best option for your cross-cultural experience. If you plan well, you will be better prepared to handle any unexpected circumstances that might prevent you from completing the requirement in the timeframe expected. The Global Perspectives courses are part of every student’s requirements and must be successfully completed in order to graduate. Students must have received credit for the LEEU 102A Global Perspectives Seminar course before participating in any type of cross-cultural experience. Any student planning to complete an international cross-cultural experience should look into Obtaining a Passport as soon as possible so they are ready when the opportunity arises for the perfect trip. Students who wish to participate in one of the faculty led Lee Global Perspectives Trips must make a decision early in the fall semester of the academic year in which they plan to participate. For example, if you plan on going on a trip in the summer after your sophomore year, you must make your decision and pay your deposit during the fall of your sophomore year. 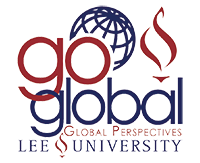 A $1,000 deposit is required for students planning to participate in a Lee University Global Perspectives trip. This is necessary in order to make reservations and to obtain reasonably priced airline tickets. It also allows the Financial Aid Office to determine how much, if any, financial aid can be applied to the student’s personal trip cost. Students who choose to participate in an Individually Arranged Study, must submit an application well before their trip in order to be approved by the Global Perspectives Committee. Individually arranged cross-cultural experiences must be approved in advance in order to receive credit. There are different deadlines throughout the year depending on when you plan to participate in your experience. No retroactive approval or credit will be given by the committee. Also, it is important to note that not all international experiences are considered to be cross-cultural; short-term missions travel does not always meet the requirement. Cultural differences are encountered through interactions and, therefore, cross-cultural experiences must involve significant one-on-one personal interaction with members of a targeted culture. It would be wise to get approval from the committee before financially committing to any type of trip for which you wish to receive cross-cultural experience credit. Students who believe they are eligible for Exemption should submit a Petition for Exception early in their college experience so that if they do not qualify they will still have plenty of time to plan a cross-cultural experience for which they can receive credit. A student who qualifies for exemption may still participate in a Global Perspectives trip or an Individually Arranged Study. Each student is considered for Financial Aid on an individual basis. All potential trip participants should file for financial aid as soon as they are accepted into a program in order to receive federal money, private loans, and academic scholarships. Money cannot be applied to the student's account at Student Financial Services until all necessary documents have been turned in (i.e. the Financial Aid Application for Global Perspectives Trips and/or Summer School, FAFSA for the current year), the student has been awarded for summer, and the student has completed registration and made a down payment with the Student Financial Services Office (this is not the same as making the trip down payment). Jones, Richard and Dirksen, Murl. Go Global: An Anthropological Approach to Studying Abroad. Lee University, 2015. Cross-Cultural Experience Considerations Exemption Individually Arranged Study Lee Global Perspectives Trips Obtaining a Passport What Is a Cross-Cultural Experience?